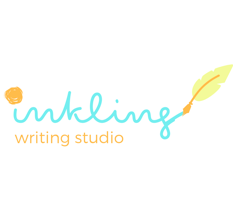 The Inkling writing studio runs fun, imaginative creative writing programmes for children. They believe that children flourish in creative and supportive environments, where there is time and space to imagine and express ideas freely. They want to help children develop skills and confidence through creative writing. Currently, Inkling writing studio runs school holiday workshops but plans to start some after school workshops during the school term. “Over the past 3 years (is it 2 or 3?) , it has been a delight to drop off my son to Alison’s creative writing classes. No matter the weather or season, we were always greeted by a cheery smile and Alison’s enthusiasm was no less diminished two hours later at pickup time! "Over the past 3 years (is it 2 or 3?) , it has been a delight to drop off my son to Alison's creative writing classes. No matter the weather or season, we were always greeted by a cheery smile and Alison's enthusiasm was no less diminished two hours later at pickup time! Alison Gorman After working as a Speech Pathologist for 15 years, Alison took a ticket to one of life’s most creative journeys and became a parent of two beautiful sons. During this time, Alison’s desire to return to writing stirred. It had been a childhood passion. She dusted off her 1976 Holly Hobby journal and took out the romantic, earnest plays she had written as a teenager. Alison enrolled in a Masters of Creative writing at University of Sydney which she completed in 2014. Since this time Alison has been writing and publishing poetry in Australian literary journals and won the Meanjin Dorothy Porter poetry prize in 2016. Alison has also been teaching creative writing to primary age children at the Ku-Ring-Gai Art centre over the past two years. She is a passionate teacher who delights in drawing upon all her skills as a speech pathologist, writer and mother to help children discover their own twinkling ideas and grow as young writers. All teachers have Working with Children's Checks.